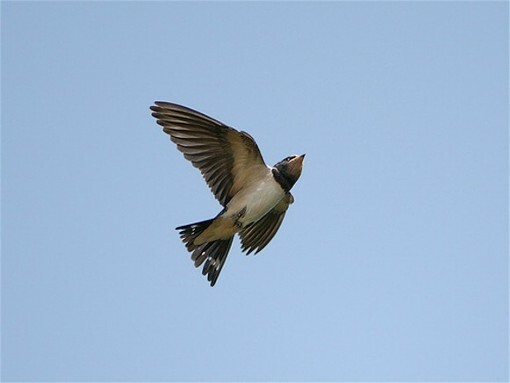 Swallow (ластівка; lastivka). A small, long-winged bird with a deeply forked tail, belonging to the family Hirudinidae. 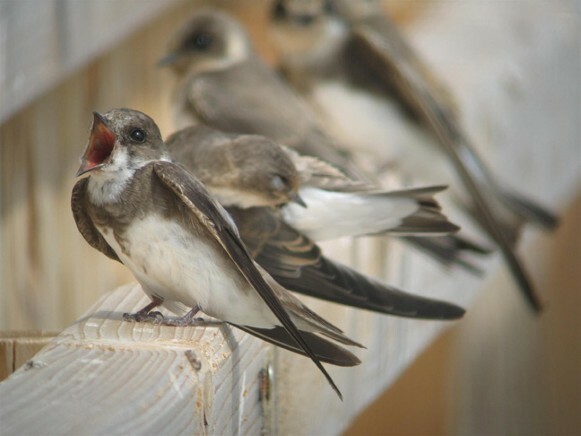 In Ukraine swallows are migratory birds with a strong homing instinct. 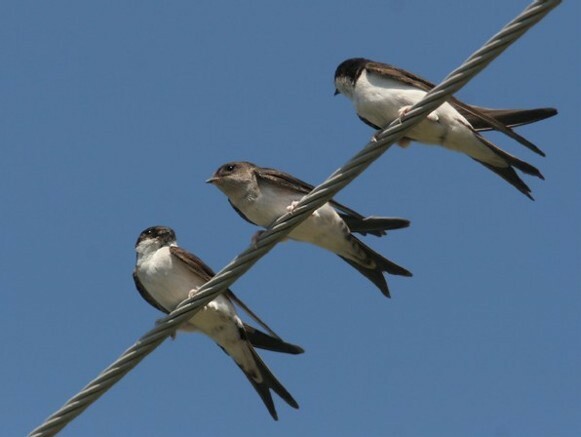 Three species are common, the barn swallow (Hirunda rustica), the urban swallow or house martin (Delichon urbica), and the bank swallow or sand martin (Riparia riparia). The barn and urban swallows nest in human settlements in cup-shaped clay nests fastened beneath eaves. 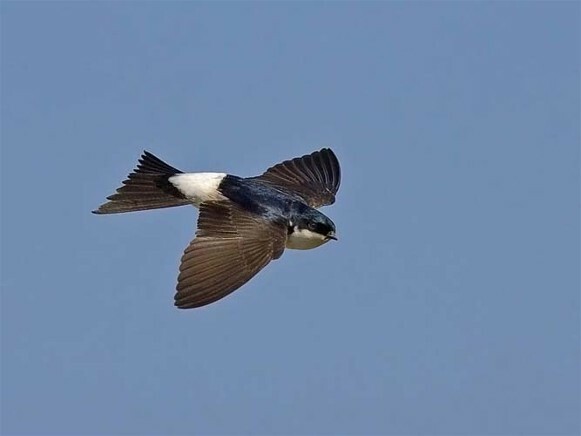 The bank swallows settle in colonies along steep banks of water bodies, where they build their nests in burrows. Owing to their close contact with humans, swallows figure prominently in Ukrainian folklore, folk songs, and poetry, as symbols of beauty and family unity. Their graceful flight pattern (in search of insects) was used to predict coming rains. 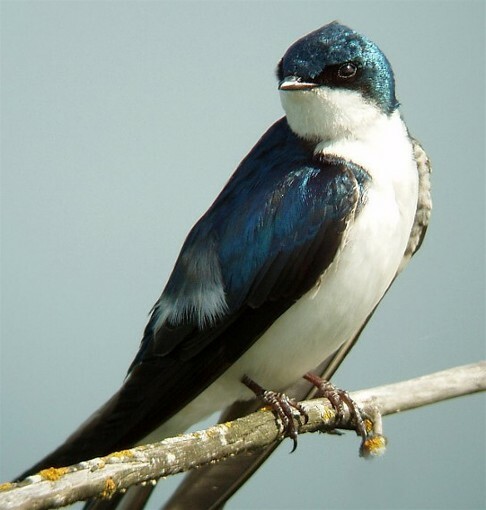 Swallows are beneficial birds since they protect crops and forests by destroying flying insects.